Because his new energy-neutral house is under construction, Taco welcomes you in his temporary home. Taco is one of the first youn...Because his new energy-neutral house is under construction, Taco welcomes you in his temporary home. Taco is one of the first young creative entrepreneurs who came to live in this multicultural district in 2010. The original inhabitants moved because of the demolition, and their homes were temporarily occupied by musicians, artists and students. After his house was demolished, Taco’s 'green' heart was beating faster with a new housing challenge. Together you will go for a walk to look at the first energy-neutral homes in Kanaleneiland. As a poppy, this pavilion, whirled in amidst roadways Westplein in the Lombok district. Founder Marij Nielen is the driving force ...As a poppy, this pavilion, whirled in amidst roadways Westplein in the Lombok district. 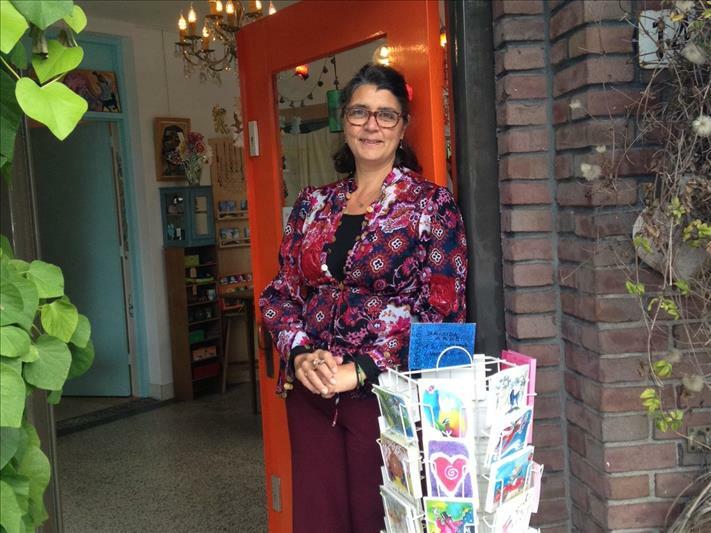 Founder Marij Nielen is the driving force behind this temporary meeting / garden / art project. There are a lot of new plans for this main traffic point Westplein. Over the years Marij has gained a lot of experience about urban development which she is happy to share.POP pavilion is a temporary project to give Westplein area of colour and human dimension. 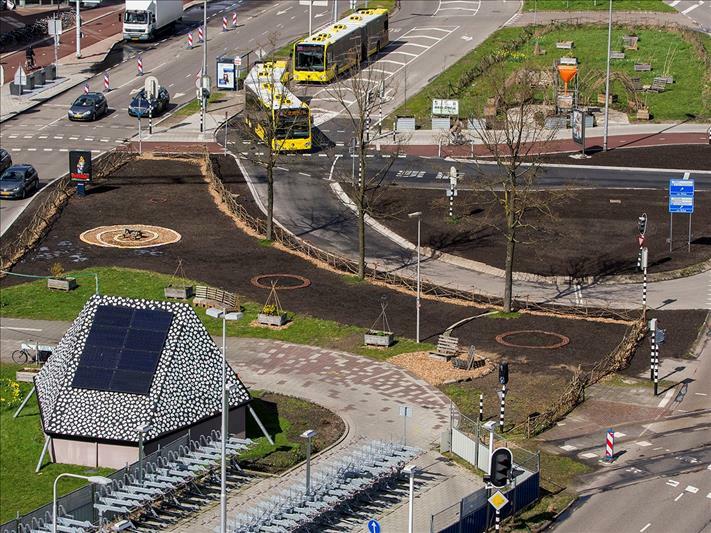 It was built by 60 volunteers from Utrecht and Delft. The Pavilion is like a 'living room' in which there is room for dialogue, candid interviews, culture, product sales, workshops and entertainment.Pioneers in the field of design, urban development and corporate social responsibility from the Netherlands found their way to Pop. Even residents from the surrounding area regularly come along. In July 2018, the pavilion will be moved to another location.